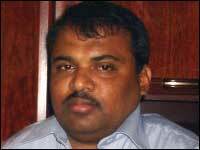 Tamil National Alliance (TNA) parliamentarian S. Gajendran, who represents Ki'linochchi district (Jaffna electorate), Wednesday urged the global community to "unreservedly condemn" the Sri Lankan government for deploying cluster munitions against civilians in Vanni in its air strikes and artillery attacks. Appreciating the Norwegian initiative which has led to the landmark treaty on baning the cluster munitions, the TNA parliamentarian said the Sri Lankan forces were deploying cluster munitions against civilians after expelling the international witnesses and blocking foreign journalists from entering Vanni. Stating that civilians from his electorate who fled Paranthan on 17 Novmeber, had described him that there were series of smaller explosions, which emerged from artillery shells during an intense artillery barrage, the MP also urged human rights watchdogs and media to be alert in monitoring such attacks and bring out the facts to the global community. "Sri Lanka should commit itself to the proliferation of cluster munitions. This would only be possible if countries that provide assistance to Sri Lankan government make it a condition," said Gajendran MP, who is currently in France in a visit to Europe to meet the diplomatic community. Many of the civilians who fled Paranthan area after the artillery barrage in which cluster munitions were used by the SLA, again became the victims of the Sri Lanka Air Force (SLAF) cluster bombardment on the IDP camp at Uzhavanoor in the early hours of Saturday, the MP further said. Cluster bombs disperse a large number of bomblets that scatter over a wide area when the larger bomb is detonated.